A 4 camera IR security system is the perfect solution if you need security or surveillance monitoring in total darkness. Electronic technological improvements have not only resulted in high quality equipment designed for this purpose, but have made infrared (IR) cameras very affordable too. 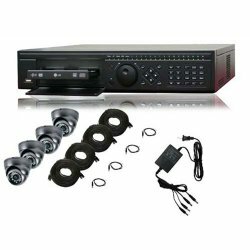 4 camera IR security system normally consists of four cameras, a processor/capture card/CODEC application, a monitor and a digital video recorder or DVR. The cameras send their video in the form of electronic data to a processor or capture card that interprets the data and creates a digital file that can be read and/or saved for future use. The CODEC application reads the digital video file that is created and applies COmpression/DECompression (hence the name CODEC) to make the file much smaller and therefore easier to handle and store while maintaining high quality characteristics of the images or video. The file is then available for live or real-time viewing on a monitor. At the same time the file is normally saved on a DVR for future use. The DVR is much like the hard drive on a personal computer. There are several types of cameras available; however IR cameras are specially designed for “seeing” in total darkness. Digital video cameras produce images by using a special electronic light sensor called a Charged Coupled Device (CCD) or a Complimentary Metal-Oxide Semiconductor or CMOS. CCDs are particularly useful for infrared applications because of the sensitivity of the electronic chip. Modern technological advances in design of CCDs have yielded a sensor that is extremely sensitive to light. This means that most CCDs can produce high quality video in very low light conditions such as the available light on a moonlit night. However, a 4 camera IR security system needs to go one step further; it needs to be able to produce high quality video in total darkness environments. Fortunately, most CCDs are inherently sensitive to IR light radiation. Therefore the CCD makes an excellent choice as an image sensor for IR cameras. The cameras in a 4 camera IR security system can produce high quality color video when there is some available visible light. Under infrared conditions, the camera produces a monochromatic or black and white video image. These cameras have IR Light Emitting Diodes or LEDs that surround the camera lens. The LEDs emit IR light that is invisible to the human eye but is visible to the CCD. These LEDs act as invisible spot lights or flood lights for the CCD, illuminating the target area images with IR light. Generally, the more IR LEDs surrounding the lens, the greater the range and field of view for the IR video. There are many useful applications for a 4 camera IR security system. These systems provide excellent night time security coverage for outdoor building and property perimeters. In addition to perimeter coverage, IR cameras can be placed so that they can monitor areas that are normally not well lit in the evenings. They have both commercial and residential applications for this purpose. Indoors, 4 camera IR security systems can be used to provide security and surveillance monitoring for rooms that are not illuminated. 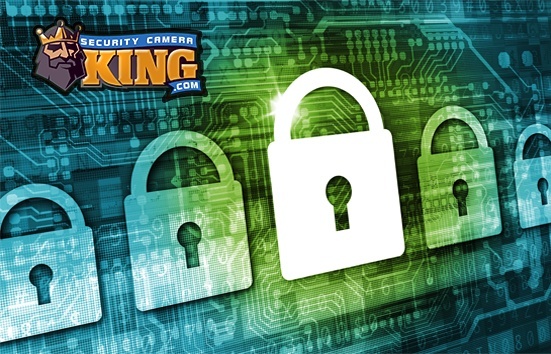 Stores, offices, and businesses can all make use of IR security systems to provide the utmost security without the expense of leaving several building lights on. Residentially, nurseries or baby’s rooms can be monitored in the evening without disturbing the infant with unnecessary light. Rooms inside homes can be monitored for security purposes without the need for lights. Potential intruders can be monitored without their knowledge since the IR illumination used by the camera is invisible to the human eye. Recent technology also allows 4 camera IR security systems to be networked using Internet Protocol (IP). This means that the system can be connected to the internet so that monitoring and recording can be accomplished anywhere there is internet access. In addition, this also means that via this network 24/7 monitoring can easily be provided by monitoring service companies. Innovative technology can now provide you with a 4 camera IR security system that can be used for in nearly any environment for any application at affordable prices. The versatility of these systems not only provides for wide applications but for easy accessibility for monitoring from remote locations. What’s more, 4 camera IR security systems require no additional requirements than standard camera security systems.